This story originally appeared in LAist.com and is reprinted with permission. The March winds roared in like the proverbial lion this weekend, propelling us through the 90-mile journey to the 4-H Antelope Valley Food and Fashion Revue in Rosamond, California. We were three: I am a newly-minted University of California Cooperative Extension Los Angeles County Master Food Preserver, judging a competition for the very first time in my MFPLA capacity. I was joined by two adventurous friends and expert bakers, who found the opportunity to judge a youth competition—featuring baked goods, preserves and decorated cakes—irresistible. I promised those who expressed concern on the MFPLA Facebook page about first-timers judging that we would hew strictly to the criteria set out for that judging, and not let other factors interfere. This turned out to be a surprisingly difficult promise and involved an intense process. 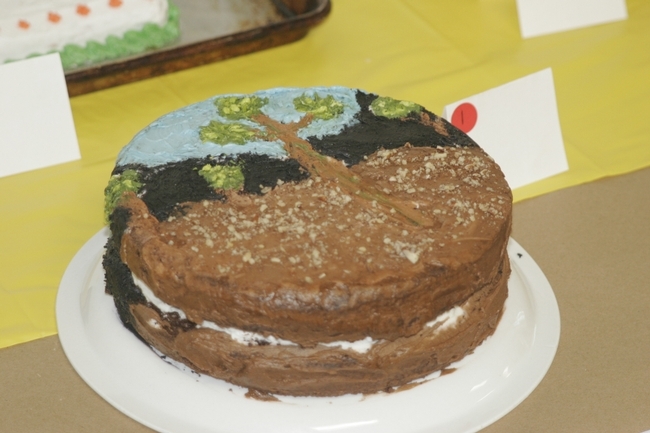 A disproportionate amount of evaluation time, argumentation and much checking back with the event organizers took place, resulting in a complex decision not to award a Best in Show in the Decorated Cakes “Themed Cake” division. Don’t scream! We gave two first, two second and one third place award to the five young people who submitted entries in this category. I’m still a bit tortured by this decision. I’ll come back to that shortly. 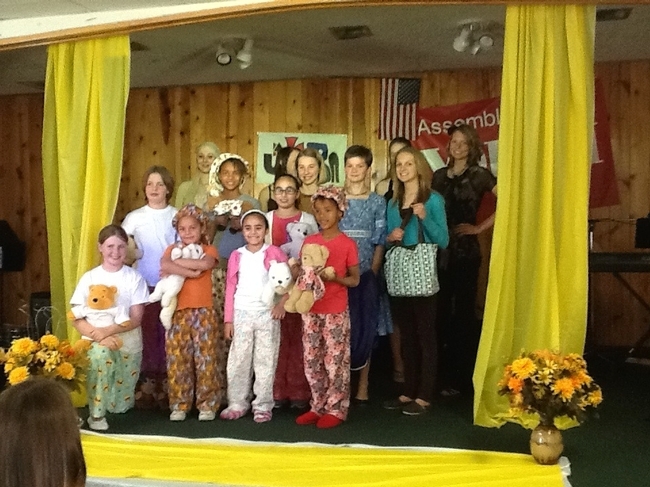 The three age groups we were judging are: beginners, ages 9 to 11; intermediate, ages 12 and 13, and seniors from 14-19. And the “Danish System” of judging used in the competition means everyone is rewarded with recognition for their efforts, which becomes part of their service record. It’s a win-win for everyone involved, judges included—minus the sugar rush we experienced, which fortunately, dissipated in a few hours! Here’s what you’re judging the entrants on: their presentation—their personal appearance as well as their product’s—how they plated their foods (using their own utensils and wearing gloves, which fit pretty loosely on some of the younger hands); their ability to talk about their project, including inspirations for the recipe they chose, ingredients and of course, various qualities of the taste, from crust to interior moisture, from frosting and blending to appropriateness of size. It was pretty much hands-down for Best in Show for each of the three age groups in the baked goods and preserves division. 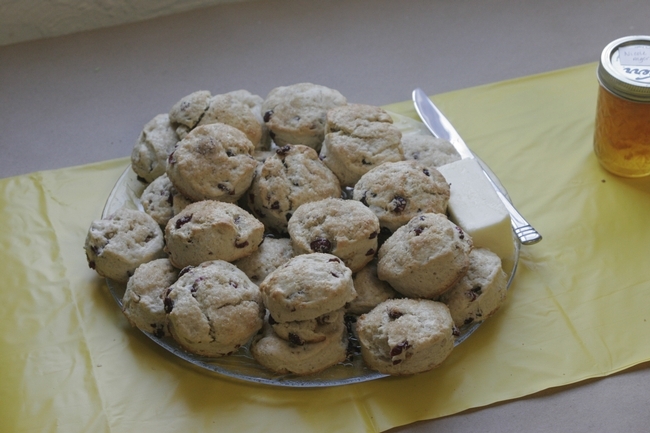 When I tasted these cranberry scones I was dumbfounded that they came from a 4-H beginner. These could’ve been baked by a pro. 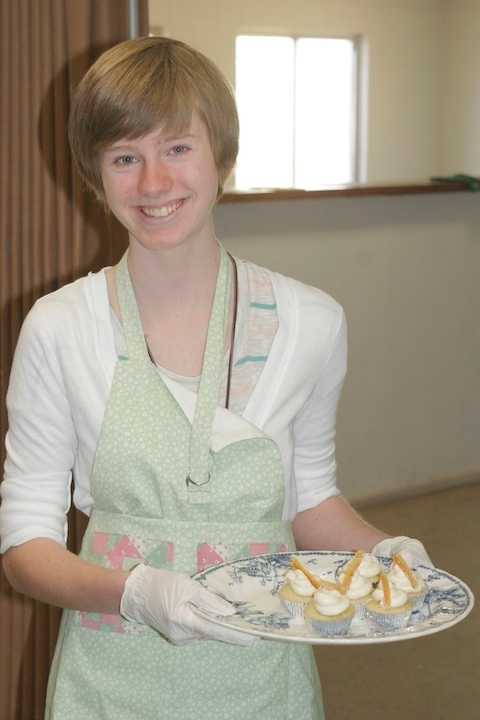 Her presentation was a little shaky, trying to slice the butter, then spread it while holding plate in one hand and knife in the other, but there was no doubt: these cranberry scones were of superior quality and were as good, and I might say tasted even better than some I’ve bought in a bakery. 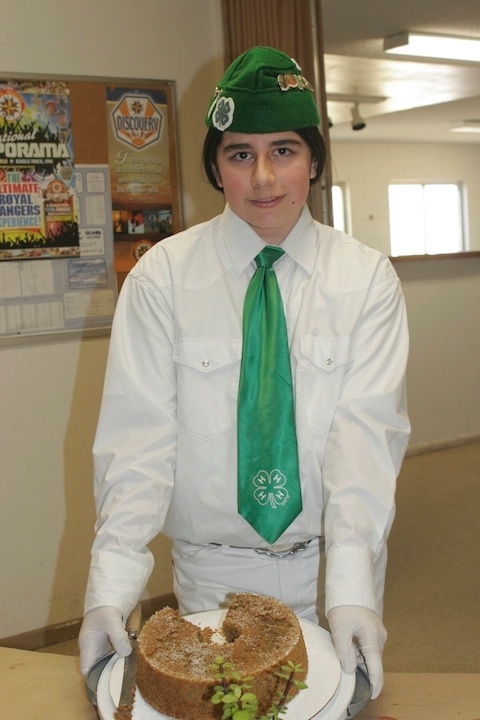 The intermediate category winner was truly outstanding: Last year this 4-H'er won Best in Show in all categories here and later won at the Antelope Valley Fair with his recipe for applesauce cake for diabetics. This year, his dad can continue to enjoy his tremendous baking talents: He made a diabetic pumpkin chiffon cake that was perfectly shaped, perfectly spiced and light as air. Diabetic or not, this was a delicious dessert. 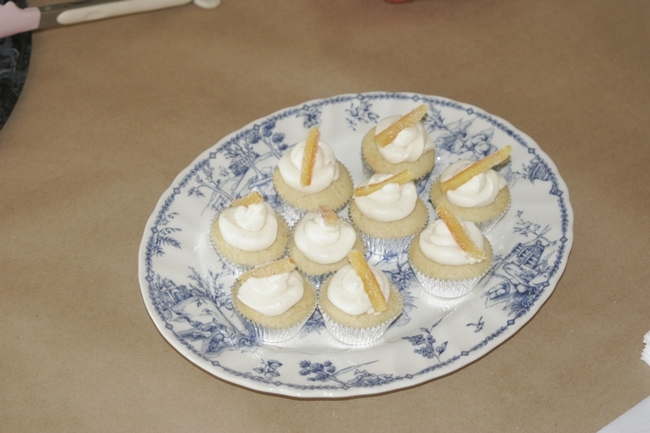 And it was clear from her quiet but confident manner, as she graciously presented and served her truly refined mini-cupcakes with meringue frosting topped with candied rosemary orange peels, that this senior 4-H'er knew she had a winner. The swirled application of the frosting, the silver mini-baking tins the cupcakes sat in, the cupcakes themselves not overwhelmingly sweet, the candied peel just the right visual and flavor accent on top - these were works of baked art. So much effort and a product worthy of it. Now back to the decorated cakes. There were only five. Three were made by beginners, one by an intermediate and one by a senior. 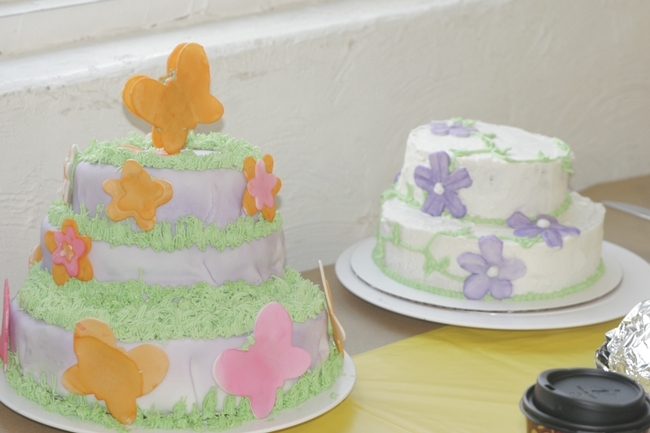 Three were “themed” cakes—the only category we were asked to consider for a Best in Show award—and two of those were by beginners. In this category, there’s no interaction with the entrants. Decisions must be made based only on the decoration. One round layer cake demonstrated so much creative ingenuity that we fell in love at first sight, and thought we were going to stop right there and give it a best ribbon. The theme “our desert home” was depicted not in words but in frosting: A turquoise blue sky, the black silhouette of the mountains, and in the foreground, blooming saguaro cactuses against a desert-brown ground. It was like a Van Gogh - and it was by a beginner! Ultimately, though, we had to acknowledge it was inspired but a bit rough around the edges. 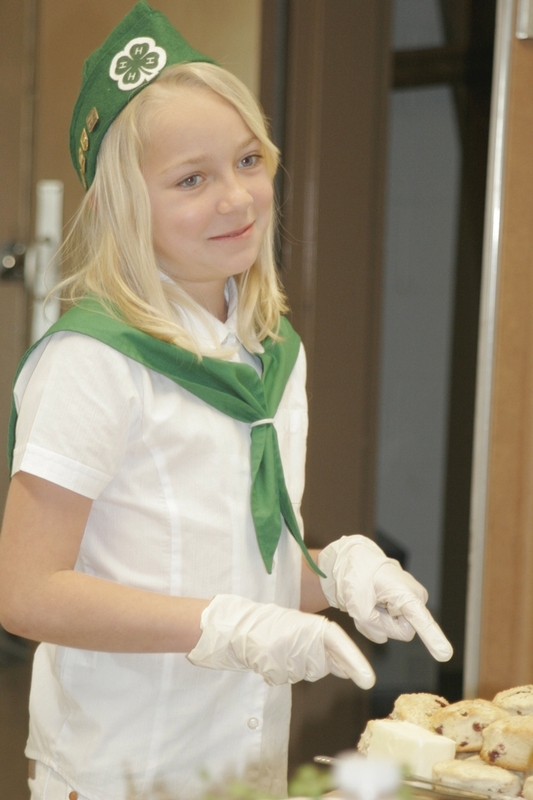 And finally, a nice effort by one of the more outgoing entrants from the baked goods division- a very dynamic young woman, who’s learned well from her 4-H acting group how to present herself in a winning manner. In the baked goods judging room earlier she told us that she plans to become an engineer, because there are so few women in the field… We could tell her heart was in this cake, but she wasn’t quite up to the engineering skills needed for this category—not yet, anyway. I’m sure she’ll get there. 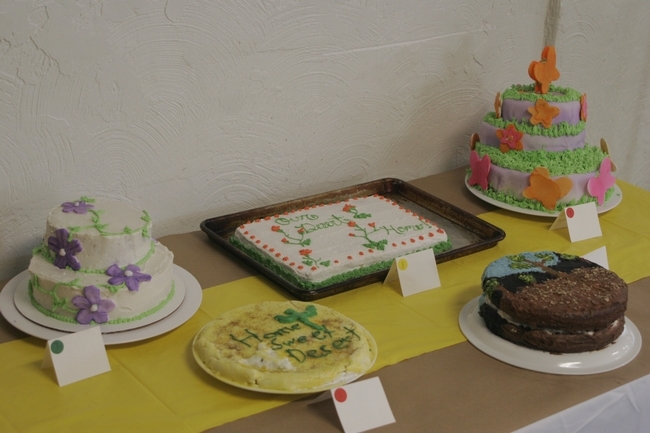 So, tell me: How were we to choose a best in show, especially as there were two other cakes with excellently executed floral designs? So on the judging sheets, we offered positive constructive comments and following the dictates of the percentage scoring system provided on the judge’s checklist, we totaled up the scores, allowing for a little disappointment but an honest decision. In the end, that’s what I’d promised. I think we delivered. And we loved every minute of it. Sarah Spitz is a UCCE LA County Certified Master Gardener and Master Food Preserver, and the Co-founder of the Seed Library of Los Angeles (SLOLA). Her writing appears in the Santa Monica Daily Press and on LAOpeningNights.com.